New Delhi, Feb 6: Four days after a Delhi court ordered Robert Vadra to join the Enforcement Directorate (ED) investigation, he appeared before the agency here on Wednesday. Vadra, the brother-in-law of Congress President Rahul Gandhi, arrived at the ED's office located in central Delhi's Jamnagar House at 3.45 p.m. He was accompanied by his wife and Congress general secretary for Uttar Pradesh East, Priyanka Gandhi Vadra. Vadra was not present in the court. Vadra's counsel informed the court that he was in London to take care of his ailing mother. A Delhi court had on Saturday granted interim bail to Vadra till February 16 while hearing an anticipatory bail plea filed by him. 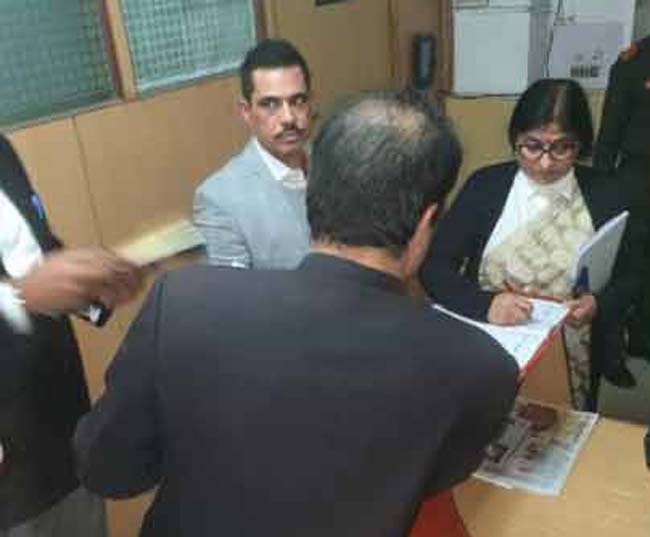 Special Judge Arvind Kumar directed Vadra to join the ED investigation on February 6.